Continual state government inaction on building Doncaster Rail has inspired numerous creative actions, including Doncaster station mockups, ghosts from 1888 wandering through Doncaster Shopping Town and an particularly fine example of direct action in December 2013, where locals took it upon themselves to form the Community Rail Authority and duly commence construction in Fitzroy. A train line to Doncaster in Melbourne was first proposed in 1890, detailed planning commenced in 1969, and by 1972 the route was decided upon. On 15 December 2013, after waiting 123 years for successive Victorian Governments to make good on their promises, the locals got tired of waiting, so the newly-formed Community Rail Authority took matters into their owns hands and starting building the track along Alexandra Parade, Fitzroy. Hey, at least it’s a start! 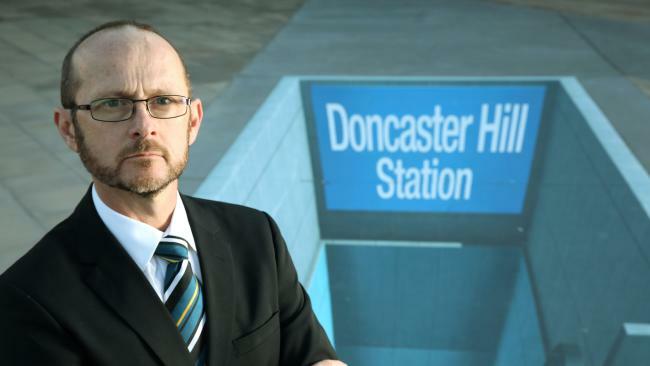 Manningham Council is scaling back its campaign for the Doncaster rail line thanks to apathy from both politicians and the public. In the latest blow for the long-awaited rail line, Premier Daniel Andrews avoided committing to building the Doncaster Rail following the completion of Melbourne Metro project. During a wide ranging community discussion on the website Reddit last week, Mr Andrews was asked whether there was a “chance” the rail line would be built following the construction of the new CBD loop.